I can't believe the spring break I had looked forward to so much is already come and gone! I'm back at work today, feeling mentally rested and ready for the next last weeks of the semester. We had such a gorgeous week here in South Carolina. The weather was supposed to be terrible but it ended up being almost perfect, sunny almost every day, and even the little rain we had wasn't horrible. We did a ton of walking: a few mornings on the track at the University, an afternoon at a sculpture garden, a morning at a huge park with a few 1K paths. 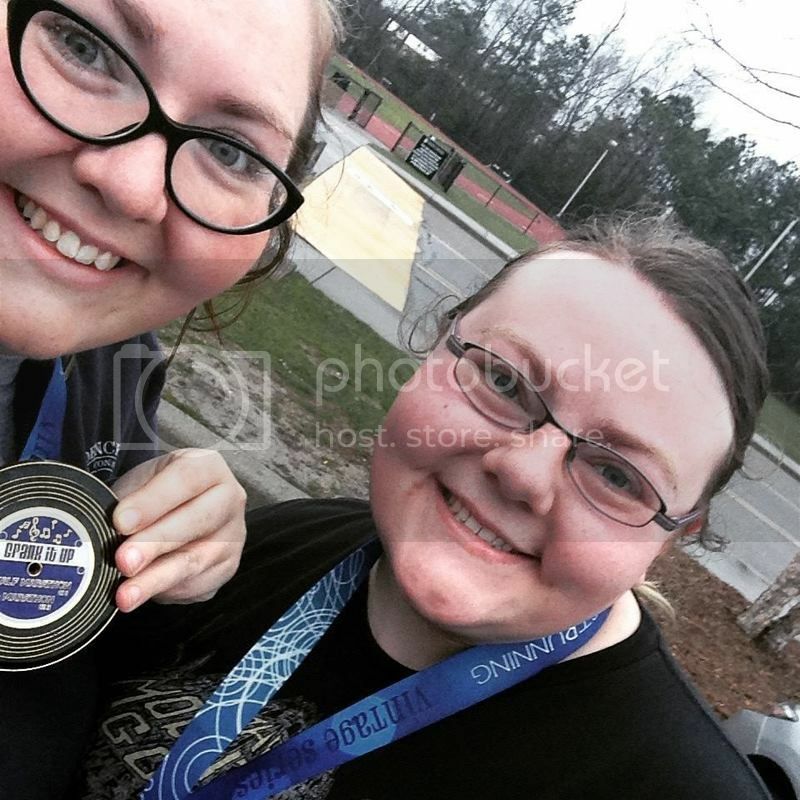 By the end of the week, we'd earned our half marathon medals, and it felt great. Follow me on Instagram for workouts, meal ideas, motivational quotes, etc.! You do what you have to, and then you do what you need to. It's so perfect, and I'm in the process of figuring out how to accomplish both. This week, my goal is to eat clean and get back in the gym. With all the walking we did, I maintained my weight over the week, which I am pretty pleased with. We went out to eat a few times, and I made mostly good choices. Our only workouts were walking, so this week, I'm ready to get back into the gym (I'm setting a goal of 5 times). I also want to be better about staying hydrated - I really have trouble with that when I am not at my desk or in a classroom! What about you? What are your goals for the week? How do you make sure you stay hydrated on days when you're not following your normal routine? I have a hard time with goals because I always expect myself to fail. Is that depressing or what? it's so nice to have you back in my blog feed! I have a liter bottle with a straw that I keep with me all the time. Having it right there makes drinking easy! My goals are to finish C25k Week 2 (I am pushing my oldest kiddo, who can't walk (yet!!) in a 5k that benefits special needs children in April) and to keep my protein at 100+g and my cals at 1400 or less. So glad you had a great week! !Crazy overtime at work is keeping me away from the track right now, but I've set a goal to start back running in April, and I intend to stick to it, overtime or not. Between now and then, I've got to figure out how to work that track time in every day (if my overtime stays the way it is now), continue to eat clean, stay hydrated and stay positive! It's always easier to feel good when the weather is spectacular! Thank you for sharing your sister's advice. It's really difficult for me to drink enough water during the day. For one I'm not all that thirsty, but I'm a case manager and do a lot of home visits so I'm constantly going place or in other's home so I don't bring it with me all day. I'm trying though! Great advice, and very cool medals!